Two versions of the same man, each one convinced that not only was he the superior of the two, but that the humans currently keeping their company would be ultimately to blame for their current crisis, waded through the men in uniform and UNIT berets filling the corridors on the way down to the archives where the secret organisation kept all their most dangerous and classified objects. The military had never been his favourite, and the response to the situation seemed overblown without having all the facts. Neither of him liked it. It reeked of bloodshed and disaster waiting to happen. Panicky apes were notorious for behaving like, well, panicked apes. He needed to defuse this ticking time bomb. He also needed to know what they were so worried he’d find that they took precautions like sonic-proofing their locks, and TARDIS-proofing their building. It didn’t sit well with him at all. It smacked of Torchwood. And he’d always considered UNIT the good guys… Bloody humans. Kate Lethbridge-Stewart was no fonder of the situation she faced than the Doctors were of theirs. Angry superiors, angry Doctors, threatening aliens, soldiers stomping through research spaces; all in all, not her best day as a scientist. Her father had been absentee most of her life, chasing extra-terrestrials and the very man she walked behind, and her own career within UNIT had been spent not only deep in research and development, but fighting against any favouritism or bias having the Brigadier General for a father unwillingly bestowed. At the present, she was well-respected and working hard to change the attitude and stance UNIT assumed whenever and wherever possible. She hoped “science leads” could one day become the new motto for the organisation. She was not about to lose ground on any front when it had been so hard-won. She was determined to keep things friendly with the Doctor, but she could not let him assume complete control and compromise Chaudhry’s trust. She still had no idea how to manage it. Assuming complete control was exactly what the Doctors intended, as it would happen, the younger positively itching to have a go at any who challenged his right, and the older dead set on avoiding any extreme measures to which the twitchy humans might prematurely resort. Kate was sure Chaudhry would be less than appreciative of his stance. “We aren’t sure yet. We have a general location where the creature disappeared on the scan, but no one has found the actual entrance point,” she answered with a frown and knitted blonde brows. She stopped them in front of a solid stone wall and motioned toward it. 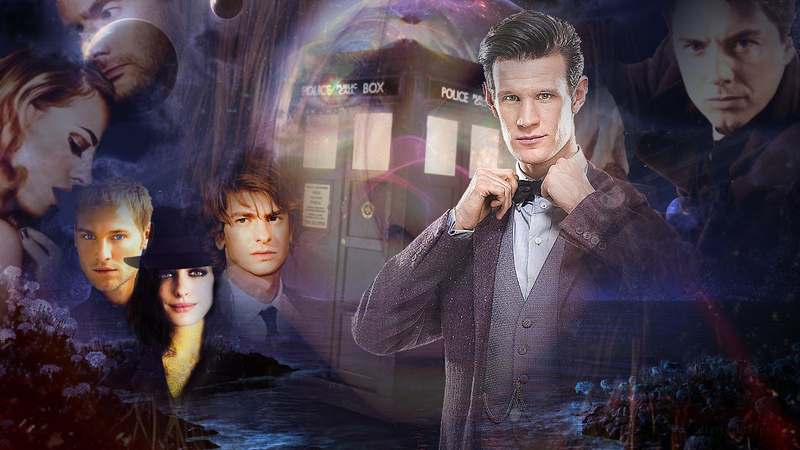 “Perception filter, d’you think?” the Doctor in leather asked his counterpart. He rubbed a rough hand along the wall looking for a hollow point. Both shrugged simultaneously and went back to running their own battery of tests, mostly involving pointing their sonics and frowning. 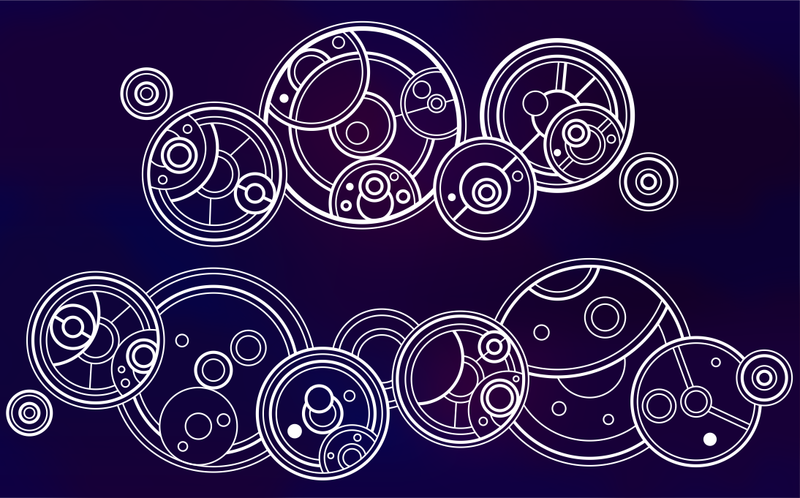 Their eyes met, and the Doctor who once was nodded curtly to the Doctor he eventually would be. “Well,” he took a half-second to be very impressed with himself, “they are not in fact, the original stones that were laid in ten seventy-eight, my dear Miss Stewart. These stones may look like they belong, but their composition is that of limestone,” he announced to the room at large. Every pair of eyes remained riveted to him as he spoke. That the two men had derived any clue about the mysterious entrance point was as baffling as the situation itself. “Limestone was used in the original build, Doctor,” Kate said, still confused by what he could possibly mean. 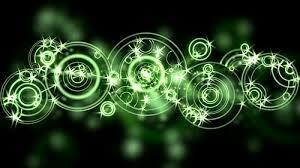 Both Time Lords resumed searching with the sonic screwdrivers, blue and green lights and whirring sounds filling the room amidst the sounds of shifting bodies and whispering. “Sir, do you mean they eat the rocks, sir?” asked a nearby female soldier with flaming red hair. Disgusted faces littered the corridor, contradicting his excited assertion. “Doctor, kindly step away and leave it to us from here,” came an authoritative order from the entryway. A pin drop could’ve been heard in the ensuing silence as each soldier stood at stiff attention and the Head of the British Division of UNIT strode purposefully into the room. The Time Lords drew themselves up to their full respective heights and adopted a stubborn set to their jaws. The corners of the Colonel’s mouth twitched. “Permission to hug instead?” he asked spreading his arms wide with a hopeful tilt of the head. The younger Doctor’s eyes went from angry to ready to bug out of his head. Just who the hell would he become that he would ask that while she was in front of subordinates? And hugging in general? He didn’t do that! Well… he hugged Rose, but Rose was Rose, all pink and yellow and huggable. He didn’t just hug anyone else, even if they were former companions, it was so… domestic. He ignored the implication that this also made hugging Rose domestic. It just wasn’t the same. “Permission denied,” Emily replied, the corners of her mouth twitching with the hint of a smile. “It’s been a long time, Doctor, Doctor.” She stretched out a hand to them both in turn which they each took happily. Emily Chaudhry had always been a good friend despite the earlier standoff. Kate nodded and was on her mobile immediately. 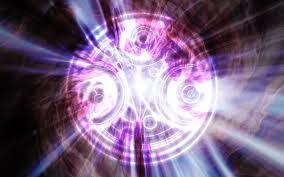 Osgood’s mobile buzzed in her pocket, but she was too engrossed in the story Torin was telling to notice it. The sound, however, was perfectly audible to her companions’ superior hearing. Torin chose to ignore it in favour of continuing to talk about being invited to see the seven seas of Rhye by the alien musician they as siblings had wanted to meet more than almost any other in Earth’s history – Mozart and Ungår Stanik being first. Lios kept his face impassive as his brother inveigled the poor young woman. Torin had stepped into leadership, and he would follow, whether he agreed with the methods or not. They were playing the game now, and Torin was proving to be better at it than he’d ever given him credit for. Torin’s grin slid off his face like mud and he gaped while Lios snapped his attention in her direction with wide eyes and an impressed smile of his own. “When did you know?” Lios asked with new-found respect. Torin moved his jaw up and down like a fish out of water. She tossed her head in dismissal, brown ponytail bouncing, and kept at her task. “Osgood, we can’t just stay in here,” Lios said quietly. She hesitated a moment, then nodded and went to a locker containing the necessary disguises which she threw at each of them before shoving her bag of sampling supplies into Torin’s arms. She went to the door and pulled it open a fraction before exiting with only a single backward glance. Lios walked over to his unusually silent brother and shot him an amused look. Torin looked down at the bag he was holding, then at Lios. “I think I’m in love with that girl,” he squeaked. “Access requested. Atkins, isn’t it? Pleasure to meet you,” Chaudhry said to the balding, older man at the entrance to the Archive, flashing her badge. Kate followed suit. “Ma’am,” the man nodded, “Miss Stewart. Going in then? First day, didn’t expect to see anyone!” He looked at the two Doctors then at his superiors who nodded their assent. The Colonel pulled out a key she wore around her neck and handed it to the man who immediately turned to use it in the old-fashioned looking vault-door. “The Black Archive has the highest security rating on the planet. The entire staff has their memories wiped at the end of every shift. Automated memory filters in the ceiling,” Kate reassured the Doctors in a low voice. Atkins pulled the heavy door open and the group stepped inside. Both women looked affronted again and made to argue. The Doctor stopped listening. His younger self had the whole argument well in hand, so he wandered a little way away to a wall of bulletin boards full of pictures and notes. Many were of him in various incarnations, but a great many more were of former companions. Ace smiled up at him in her decorated bomber jacket as she sat next to Winifred Bambera. Peri Brown in her tight, pink lycra top and shorts, posed blithely next to Turlough. Tegan and Nyssa stood together with a pair of soldiers behind them. Donna, Wilf, Romana in both incarnations, Adric, Charley, Martha, Mickey, the Brigadier General, Grace Holloway, Melanie, Amy, Rory, Fitz, Jack… Rose… a good number of photos of his beloved Rose were grouped around heavy notation and River seemed to have an entire board dedicated to her alone with cheeky pictures of her mugging for the photographer as well as candid photos of her from their adventures. UNIT had been keeping tabs on him and his companions for a long time. It did little to improve the way he was currently feeling toward them. It was in that moment while he was steadily internally becoming a hurricane of rage and resentment, that the air around him quivered and stretched, pricking uncomfortably at his time senses, and diverting the storm from unleashing unholy hell on the two UNIT directors. A time fissure shimmered into existence not five metres from him. In seconds the younger Doctor was at his side with a black look upon his features as he gazed upon the tear in the fabric of time. “You want to explain wha’ the hell you lot are really gettin’ up to down here?” he yelled at the two women who had followed closely behind. “Is it the E.T.’s surrounding the tower?” Chaudhry asked with not a little alarm. He and his counterpart exchanged dark looks. “Or you’ll what?” He whirled and bore down on her like an enraged god of fury and thunder. “Take me into custody? Keep me locked in a little cell without hope of release until you’re satisfied with my answers? Please,” he spat as he glared at her, inches from her stony face, “better beings than you have tried, entire races have tried, and still, here I stand, defying your pathetic demands and threats. You may think you are so very, very clever with all your spying, your weapons and safeguards and stolen technology, but don’t ever for an instant think you have any authority over me. I am the authority, Chaudhry, and this? This has nothing to do with you. This is time bending to its master. It’s here for me, not you.” He turned his back on her and faced himself. “Doctor,” Kate began in a softer tone but still riddled with fear and worry. He held up a hand to silence her, and focused on the only other Time Lord in the room. Humans need not apply here. “Wha’ d’you reckon?” his counterpart asked with his own brand of anxiety and concern. For all his older self’s talk of authority and mastery, a tear in time was a serious problem, and one that not only did he have no answer to, but which also did not bode well for the continued existence of the universe should it begin to expand or implode. Something or someone was behind it, and he they very much needed to find out who and stop them. Rock-spitting aliens, hoarded artefacts, and even nukes were far less important. The younger stepped into the glimmering swirls of time as the two confused women began their objections. Without listening further, the Doctor straightened his bow-tie and followed suit. It was true. The basement had been so thick with UNIT patrol that they had to push their way through to the lift, but once they got down to the sub-basement, you could have heard a rat sneeze in the unnatural silence. “What did your message say exactly?” Lios whispered, reluctant to call attention to themselves and hoping Torin would take the hint and lower his own voice. “I don’t like any of it,” Lios muttered, pulling out his sonic and doing a few scans. “Ohh, what’s that?” Osgood asked as she looked over his shoulder at the incomprehensible readings he’d just taken with the whirring torch. Lios rolled his eyes and continued his own scans. “Like sonar?” Osgood asked him curiously as he preened and showed her his larger, cooler looking instrument. “Right,” Torin said soberly, reclaiming his sonic and seriously scanning the area. “There were people everywhere, and recently, so where the hell’ve they disappeared to?” Lios muttered as he frowned at his readings. A scraping sound had begun shortly after they entered the stone hall and seemed to marginally increase the farther they travelled into its depths. The scraping noise increased in audibility, going from a scuffing on rough ground to more of a scratching at the back door. “Proteins? As in, the rock has been mixed with something living?” Osgood asked, enthralled with the mystery within the mystery they had uncovered. She stopped walking to pull out some of her swabs, files, hooks, bags, and petri dishes to take samples. The scratching sound became more of a shifting-of-heavy-things noise. Lios took one look at him and was out of his crouching position in half of a second just as Torin was grabbing for Osgood. Her glass vials crashed to the floor as they pulled her up roughly and into a dead run. “Mole-man doesn’t look very friendly!” Torin shouted back. “M-mole-man? What—” She glanced over her shoulder as she wheezed and put on a burst of speed. Running toward the sound of their thudding footsteps was a seven-foot, furry, black creature with sightless, milky eyes, and razor-sharp incisors, each at least ten inches in length. Its fingers had hooked claws at the ends of long rat-like fingers and toes, and Torin was right— it did not look like it wanted to cuddle. Viscid drool dripped out of its mouth and down the vicious-looking front teeth. And it was gaining on them. They could hear its scrabbling claws leaving nasty gouges in the stones as it propelled itself forward toward the fleeing group. Quickly, Torin yanked Osgood’s arm hard and propelled her into a small, crumbling alcove in the corridor and covered her mouth with his hand. Lios Covered both their bodies with his own before each of the young men went as silent as statues. They seemed not to even need to breathe, even after all that exertion. She couldn’t say the same. She frantically tried to still her ragged breath, but her traitorous bronchioles threatened to start contracting at any moment. She needed the air, or she would need her inhaler. Desperately. The creature was within a few metres, the gouging of stone under razor-sharp claws intensifying her panic and inability to draw breath. Torin could feel her body shaking with the need for air, and its inability to cope with the sprint they had just forced her to endure, and he did the only logical thing. He moved his hand to cover her nose, captured her lips with his own, and blew. He silently forced air into her spasming lungs then sucked it back out, letting his bypass filter the oxygen as he repeated the process again and again. She jerked against him at first, but the restoration of the life-sustaining molecule to her brain quickly allowed her to relax, and she let him breathe for her. The creature passed them, but bewildered that it had lost the sounds it had followed, it back-tracked, and made another three passes before turning back the way it had come and disappeared. They stayed in the safety of silence for another four minutes before Torin released the dazed girl and gazed apologetically into her eyes. She blushed involuntarily, and pushed him backward from her slightly. “I didn’t see anything but teeth when I glanced at it. How did you see all that? It’s like you knew just what to do, I…” she looked uncomfortable as she trailed off. Torin let the second “I’m not human” go unspoken. Osgood didn’t look like she needed the reminder, and things were uncomfortable enough. Torin took the girl’s hand and pulled her with him as they continued to move deeper into the winding halls. “Can’t go that way,” Osgood whispered after they had backtracked a bit and made a few wrong turns into dead-ends. “Why not?” Torin asked, turning to look down at her. The brothers looked at each other and came to silent agreement before pulling her in just that direction. “Wait, I said, we can’t—” Osgood said, a little too loudly. A keening wail echoed and bounced from the cold stones. “Right, that’s us running again!” Torin shouted. They skidded to a halt just outside the door that separated the entrance to the Archive from the stone passageways. It was made of metal and wood rather than the traitorous rock. Lios yanked at it and found it locked. He aimed his sonic at the handle, but nothing happened. “Access!” Osgood shouted with a gasp followed by a bout of hacking coughs. A few pregnant moments passed, filled with the echoing of claws on stone and screeches reverberating ever nearer, before the door opened and a balding man peeked his head out to blink at them owlishly. Another high-pitched shriek resounded behind them, and the brothers shoved themselves bodily against the half-open barrier, knocking the man back so that they could all scramble inside the room. Just as Torin was closing it behind them, he caught sight of the mole-creature as it rounded the last corner and raced toward them at break-neck speed. He threw his back against the door and screeched for Lios to do the same as the creature bashed into it, nearly sending him flying forward. He aimed his sonic at the lock, but whatever they had used to make it rendered it useless. The dazed Atkins jumped to his feet, scrambled for the key, and charged forward to lock the heavy wooden door. The monster gave up its battering, but an ominous screeching floated in their direction, followed by an even more disheartening scraping of claws on wood. It would dig them out now that it knew where they were, and it was calling for friends. Osgood coughed and spluttered, but kept her wits about her. “We need to get into the Archive, now!” she told Atkins. “That thing is going to get in here! What do you not understand about this situation!” Torin shouted angrily. Torin raked his hand through his hair and paced the small room, while Lios approached the man gingerly. “What’s your name?” he asked. It was Lios’s turn to let out an exasperated groan and begin pacing. At least another three sets of claws joined the first. They’d be through in less than five minutes, and if the party in the antechamber didn’t get on with it, they’d be mole-food in no time. “No need, Osgood. She’s here with me. What the hell is happening out there?” Colonel Chaudhry asked in a stern voice from the entrance to the Archive.